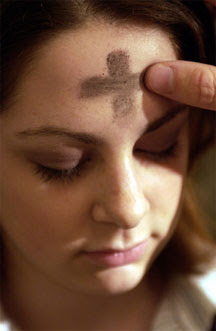 Passing through Ash Wednesday into the days of Lent is one reason to review and embrace our mortality. The ashes placed on foreheads, at least in the Catholic church, are made from the burnt palms left over from last year's Palm Sunday celebration. Life's celebration meets the kinetic energy of fire and turns into ashes...a great metaphor for living a joyous life and ending in a glorious death. I know people who are afraid to live, usually because they fear death...which always seems puzzling to me...when we all will meet the fate of death at the end. They might as well already be dead. I learned to embrace a glorious death from my mother, who at the age of 42 finally succumbed to the ravages of cancer; however, it never extinguished her joy of living. Hers was a glorious death...not only because how she lived and died...but because it gave me a road map on how to live life fully and die gracefully. 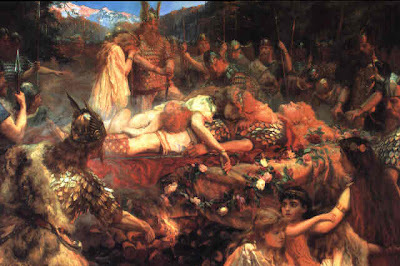 The Viking culture was one that embraced the ideal of a glorious death. Life was not worth living if you were afraid of dying. 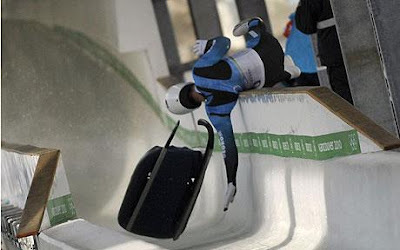 More recently, the debate on whether to continue the Luge competition after the death of Georgian racer, Nodar Kumaritashvili, at the Winter Olympics set the stage for the polar opposites of this argument. He died a glorious death...doing something he had a passion for. There was no better way to celebrate his life and death, than to continue the competition in which he died to participate. I for one, hope to be so lucky as to die doing something I love. And if not, at least have the grace to crown my life with a glorious death. So, during this Lenten Season spend some time asking and meditating on, "Do I have the courage to live a joyous life and embrace a glorious death?" I remember reading about a guy who circumnavigated the equator and the Arctic Circle (all motorless). I looked him up: Mike Horn. Mike calls himself an "Earth Roamer." "I'm not doing what I do for the risk or to die. I'm doing it to live." Lady Suzanne told me about a guy who recently climbed a mountain, and, at the top, decided to have his photo taken. The ground gave way and he fell to his death. I bet he would say that he had lived a joyous live and died a glorious death. wouldn't the world be a wonderful place every day?? if we each made the choice daily to live in love and "do no harm" what a difference we might see! I'll go along with the Joyous Life bit... I do that anyway, seems to me youre pretty stupid if you don't...but i'm not on board with the glorious death thing...a death is a death to me...you can't dress it up...or say its bad either way... its just a full stop, the rest is just romantic cobblers. Maybe thats why I think life is so great..this is it folks, its a Live performance in 3D.....then its like before you were born. nada. I wouldn't even rather it be doing what I love doing... ( thats something cute said by other people after you have accidently screwed up...) anytime I do carc it will be fifty years too soon. and if we're not, why?? It's a beautiful sunshiny day full of deep thinking and prayer as we venture into these 40 days of examining our lives and intentions. and I have a 95 year old friend who also has had those losses, yet is a vibrant loving learning person who thanks us "girls" for being her friends and sharing our lives with her as she adapts and learns to greet each day. Life will bring so many changes and challenges, what will my responses and actions be? Hope its warm sunshine Suzzzzzzz. :)). nah I never really knock what anyone wants to believe in...as long as everyone is forthright about what they do believe in ...thats fine by me. As good Old Lennon said..."Whatever gets you through the night, is alright , is all right"
Outlive my life?? you kidding?..lol...i've hardly started ..lol..
Get on board Sir Sunny D! A Glorious Death has nothing to do with a belief in life after death, or a cosmic religious thing...but rather an attitude towards living, of which dying is part of the plan. If you don't embrace it, you're scared of it and if you're scared of it, you can't live wholly (THAT's WITH AN H...for Hooky)! P.S. Mind you, I've had some practice at this you know! LOL! ... uh huh...not sure how your fetish for hospital food and your eventual Darwin Award translates into us being scared of death...which I'm not.. I just think a long life of glorious deeds and creativity, far out trumps any of the hare-brained near death experiences, of which I've had a few too many. The motto of the Queen's Royal Lancers Army regiment is 'Death or Glory', and you will notice these brave guys have Glory on the living side. 3. A long life of glorious deeds and creativity is living life wholly. Still, we need men and women who fill the Queen's Royal Lancers motto "Death or Glory"...or Sir Ryan's 81st Armor Regiment motto "Death Before Dismount". Ride onward to that Glorious Death...that is Glorious Living! nope ..still not with the glorious death... thats only in the minds of egotists and deluded suicides. A man was traveling from one city to another when he heard that a ferocious battle had taken place and that his cousin was among the wounded soldiers. He rushed to the place and saw that his cousin was on death’s door. He offered him a little water from his canteen, but just at that moment another wounded soldier beside him groaned, and the cousin asked him to give the water to his neighbor.